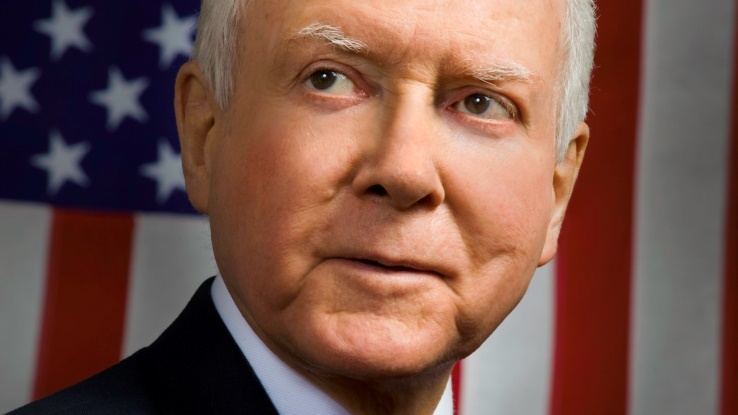 Hatch, Alexander and Barrasso want to create a temporary subsidy extension. (Bloomberg) — Several senior Republican senators said Sunday that Congress would let federally based public exchanges offer Patient Protection and Affordable Care Act (PPACA) health premium subsidies for a “transitional period” if a Supreme Court ruling blocks the subsidies. See also: 5 ways a Republican Congress could change health policy. While the transitional premium subsidy program was in effect, Republicans would design an alternative policy for those states that would provide “the freedom and flexibility to create better, more competitive health insurance markets offering more options and different choices,” the senators wrote in a Washington Post op-ed. The Supreme Court will hear arguments Wednesday in King vs. Burwell (Case Number 14-114). a case challengingwhether the federally based exchanges can offer the subsidies. A decision is expected in June. The case, brought by opponents of the Patient Protection and Affordable Care Act (PPACA), or Obamacare, has the potential to gut the law in much of the country. PPACA created a system of health insurance premium exchanges and said state-based exchanges could offer the exchanges. PPACA let the U.S. Department of Health and Human Services (HHS) offer premium subsidies in states that don’t set up their own exchanges, but the text of the law does not say anything about the HHS exchanges offering premium subsidies. Critics of PPACA say the law gives HHS exchanges no ability to offer the subsidies. PPACA supporters say that Congress clearly meant to let the HHS exchanges offer the premium subsidies and that, even if Congress did not make that intention clear, other language in the law gives the HHS secretary, Sylvia Mathews Burwell, the discretion to interpret ambiguous language. What if HHS exchange supporters lose? If the Supreme Court rules against the Obama administration on the PPACA subsidy issue, that outcome would be celebrated by most Republicans. However, the case has presented a policy challenge for congressional Republicans, who will face pressure to preserve insurance coverage in the event that the court eliminates the subsidies. Hatch chairs the Senate Finance Committee, Alexander chairs the Health, Education, Labor and Pensions Committee, and Barrasso, a board-certified orthopedic surgeon, is the Republicans’ policy committee chairman. The op-ed represents the first time senior congressional Republicans have committed to preserving the PPACA premium subsidies, at least for a limited time. The senators didn’t say how long the tax credits would continue to be available, and they didn’t detail their alternative policy or say when it would be implemented. Republicans have struggled since passage of PPACA to craft an alternative policy that a majority of their party could support. It was not clear whether the three senators spoke for their party. Spokespeople for the Senate Majority Leader, Republican Mitch McConnell of Kentucky, didn’t immediately respond to e-mails late Sunday asking for comment. See also: 10 states where the Supreme Court may help short-term health sales. Brendan Buck, a spokesman for Rep. Paul Ryan, the Republican chairman of the House Ways and Means Committee, said in an e-mail to “stay tuned for our proposal” to respond to a court ruling against the government. Ryan will release the proposal “in due time,” Buck said. Before going to work for Ryan, Buck was the vice president for communications at America’s Health Insurance Plans (AHIP). PPACA now requires insurers to offer major medical coverage without using personal health information in decisions about issuing coverage, and without using personal health information other than age and tobacco use when pricing coverage. Analysts say that, if the HHS exchanges lose the ability to offer subsidies, roughly 70 percent to 80 percent of their customers will lose the ability to pay for major medical coverage, either inside or outside the public exchange system. The analysts say that, if the relatively young, healthy people using PPACA subsidies to pay for health coverage leave the risk pool in the HHS exchange states, the average level of commercial individual major medical claims per enrollee will soar in those states, and individual major medical prices will skyrocket. A Supreme Court decision against the HHS exchange subsidies could also destabilize the individual major medical insurance market in states with state-based exchanges, by encouraging moderate-income people with health problems to move to states with state-based exchanges, to buy subsidized, guaranteed-issue health insurance there.